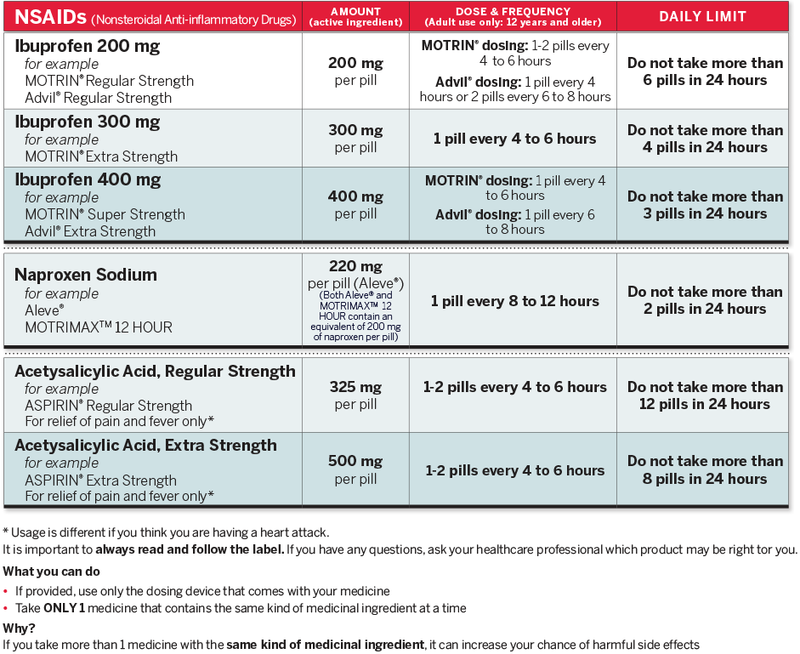 Different OTC pain relievers have different doses, directions, and daily limits. 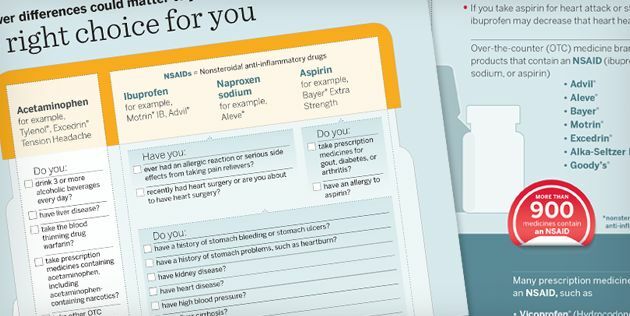 To help ensure you’re using pain relievers appropriately, download and print these dosing charts for OTC NSAIDs and acetaminophen —and keep them wherever you store your medicines. Click here to download adult dosing charts. Take ONLY 1 medicine that contains the same kind of medicinal ingredient at a time. Why? Check your medicines. Hundreds of over-the-counter (OTC) and prescription medicines contain the same kind of medicinal ingredient. Remember: It is important to always read and follow the label. If you have any questions or are unsure which pain reliever may be appropriate for you, talk with your healthcare professional. Get your pain reliever dose right. Why? If your pain lasts more than 5 days, stop taking the medicine and see a healthcare professional. It’s possible that the problem may need more attention, or a different treatment approach may be needed. 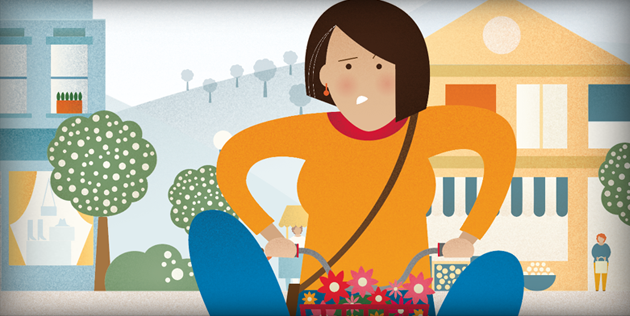 Which OTC pain reliever may be appropriate for you? It may depend on your age, health conditions and other medications you may be currently taking.